During an interview with British radio station Xfm, actor/singer/heartthrob Jared Leto was asked about some of the weirder gifts he's received from fans over the years. Without batting an earlobe, Leto went on to recount the time he was gifted a severed ear by one of 30 Seconds to Mars' more "committed and passionate" fans. "Someone cut their ear off once and sent it to me, that was very strange," the 41-year-old told Xfm's Phil Clifton. "The Van Gogh move," Leto continued. "The note just said, 'Are you listening?'. I never knew who it was, who's missing their ear out there." Xfm figured Leto was joking, and even said as much. 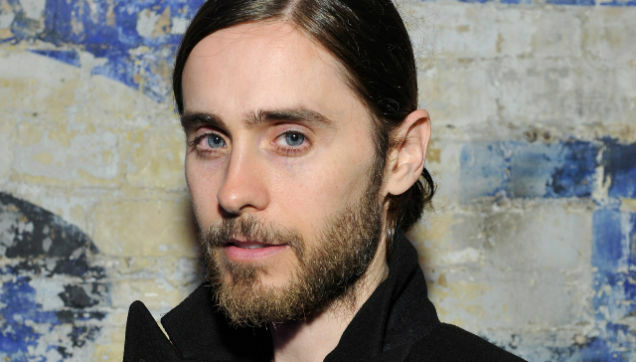 Leto certainly wasn't helping his case by claiming he poked a hole in the ear "and wore it as a necklace." 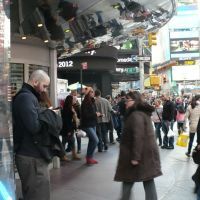 But a few days later, with cries of shenanigans mounting, Leto decided to let his fans have it. Literally: He posted a photo of the alleged ear to his Instagram account, along with the all-caps caption, "ARE YOU LISTENING?" 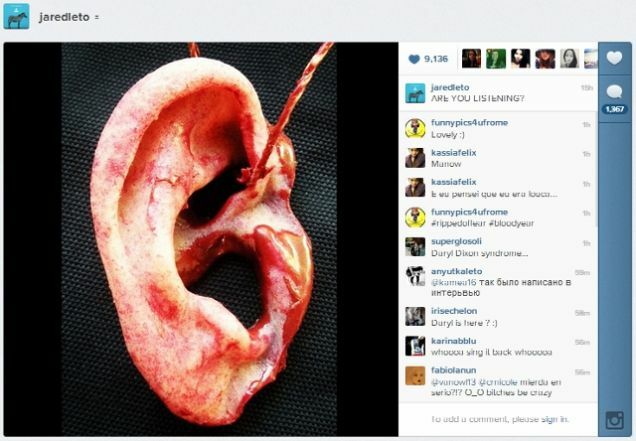 Some fans still think they're being played, with several noting that the bloody auricle bears a striking resemblance to a popular severed ear prop or could easily have been fashioned out of some paraffin wax and a strong desire to freak people out. The last of which, Leto clearly has in abundance.